OMEGA first served as official timekeeper in 1936 at the Olympic Winter Games in Garmisch-Partenkirchen. At that time, a single technician brought only 27 OMEGA stopwatches to measure every second of the competitions. Today, 82 years later, the Swiss watch brand takes on the role of official timekeeper at the Olympic Games for the 28th time and comes with 230 timers supported by 350 trained volunteers, 230 tons of equipment, including 30 public scoreboards and 90 scoreboards for the respective sport, as well as many kilometers of cables and fiber optic cables to South Korea. As a specialist in TV Coverage, AMP VISUAL TV provides services throughout the production process for live programmes and those produced under live conditions. It has at its disposal one of the most extensive European fleets of OB vans for filming on location, and around forty studios in the Paris region. More than 500 employees assist our clients in devising, designing and carrying out filming, transmission and broadcasting of programmes destined for every screen format. Armed with its indisputable 30-year experience in television filming, AMP VISUAL TV has always strived to guide its clients in technological developments. Today, we master all the stages involved in producing programmes that meet consumers' expectations. Qinghai Television (QHTV), Chinese: 青海卫视; pinyin: Qīnghǎi Diànshìtái) is a television network within the Hunan Broadcasting System (HBS) in the Xining city and Qinghai province area. It was founded on January 1, 1971. QHTV currently broadcasts in Chinese, Mongolian, Tibetan and Salar. Reckord is a Czech private company founded in 1996, focused on delivery of TV services, equipment and crews for virtually any type of event large and small, live, streamed or recorded. In the beginnings (1998-2005) we co-operated with TV PRIMA, Česká televize (Czech television) and TV NOVA in the media coverage production. For TV NOVA we provided live reports for the regional news broadcast „Právě teď“ („Right now“) from the Ústí nad Labem and Karlovy Vary regions. At the same time we produced advertising films, DVDs, promotion spots and multimedia presentations. When the highly-prized broadcast rights for horse racing on British television recently switched channels, outside broadcasting specialist NEP Group seized the opportunity to create one of the UK’s most advanced OB trucks. Named Equinox, the truck is capable of meeting every requirement for the live broadcast of race meets, without additional support. At the heart of its technical infrastructure is the intercom expertise of OMNEO IP technology. Inside Equinox, an RTS ADAM modular matrix frame equipped with a 64 channel OMI OMNEO matrix interface card offers up to 272 ports, providing a Dante backbone for the OB truck’s comms workflow. Cubic Production, one of the fastest growing television broadcast and production companies in the United Arab Emirates (UAE), has turned to Grass Valley, a Belden Brand, to equip two of its OB vans with 20 LDX 86N WorldCam cameras and 20 XCU Universe XF base stations. Cubic Productions and its systems integrator, Wise Concepts, explicitly chose Grass Valley’s solution for the flexibility in the connectivity of the cameras. It’s where Quadlink 4K out can be offered as well as 12G, IP and HD from the same XCU unit. The LDX 86N WorldCam cameras produce native HD/3G quality and can be upgraded to native 4K UHD, HDR and high-speed acquisition with a GV-eLicense for the duration of the project. The full range of Grass Valley solutions is flexible and scalable so it works for MESH Broadcast Services now, and will continue to work as the company grows. The Karrera K-Frame S-series offers multiformat support including 1080p, 4K UHD and a full range of features in a compact 6 RU video frame, with up to 6 M/Es, 80 inputs and 48 outputs for efficient processing in fast-paced live event productions. Similarly, the 3 RU Densité 3 Frame can simultaneously process 3G/HD/SD and analog video, as well as AES and analog audio. For safe use in small areas packed with equipment, Densité’s front-opening frame features dual hot-swappable power supplies and fans, front panel multicolor LEDs to provide status reporting, and a controller card allowing card adjustments from the front panel. The EHF EURO 2018 has been a resounding success, both on and off the court, with high attendances and record numbers not only for TV but also for online coverage. RTL, the Croatian broadcaster, reported a market share of 60 per cent during the home team’s matches. Fantastic atmosphere, packed arenas, a top level of handball and passionate support from fans: The EHF EURO 2018 has been labelled a great success, with everything falling into place for a complete handball experience. CROATEL was selected by Infront to carry out the host broadcasting of the Men's EHF EURO 2018 in Croatia. Croatel was responsible for the complete TV broadcasting of all 47 matches into 175 territories by at least 130 media outlets. With glittering skyscrapers reflecting the Arabian Gulf, Abu Dhabi is home to one of the most dramatic skylines in the Red Bull Air Race World Championship – and the 2018 season promises thrilling action to match. Thirteen of the world’s best pilots will resume their rivalries at 370kph with forces up to 10G, joined by a new opponent boasting impeccable credentials. With a first-time World Champion leading the rankings, many teams have radically revised their raceplanes, and the opener in the Emirates will set the stage for a season of suspense. Pilots from six continents have been impatiently awaiting the kickoff to the eight-race calendar. Taking place every Autumn, the event sees participants complete a gruelling 200km triathlon circuit in a unique natural setting, starting in the historic centre of Cadiz. This year, through Erizo.Media’s dedicated department, Akedis, the production team graduated, for the first time, from limited live content delivery using fixed checkpoint links, to a full live broadcast of the triathlon throughout the National Park. This progression is credited to Dejero’s EnGo mobile transmitters which were supplied by Dejero’s local partner, Ontario Solutions. he Erizo.Media deployment involved a 20-strong production crew, a number of fixed cameras, point to point links and two Dejero EnGo transmitters manned by two camera operators. Lighting designer Tom Campbell fully embraced the Robe MegaPointe buzz on a recent UK tour by indie rockers The Hunna – surfing high on the 2018 ‘ones-to-watch’ list - utilizing 37 of these trending new moving lights at the core of his design. Tom’s opinion of the MegaPointe, having now had a chance to use them properly, is assuredly, “The MegaPointe isn't just a beam, it’s also the best spot fixture I have ever used!” Lighting and lasers for the tour, the start of an anticipated busy live schedule for the band with a cache of catchy tunes and an enthusiastic fan base - was supplied by Colour Sound Experiment. They were among the first UK companies to invest in MegaPointes immediately after the product’s launch in September 2017. On most days, the Exhibit Hall at the Colorado Convention Center in downtown Denver might appear to be a typical, conservative environment for exhibitions, trade shows and other corporate events. However, for the final two nights of 2017, Global Dance, AEG Presents and Live Nation Concerts helped transform the venue into Decadence: City Beyond Tomorrow, billed with simultaneous events in Arizona and Utah as “America’s Largest NYE Dance Celebration.” Attracting approximately 18,000 electronic music fans on both December 30 and 31, Decadence hosted performances from some of the biggest names in EDM, including Armin Van Buuren, Bassnectar, Big Gigantic, Diplo, Galantis, Gramatik, Justice, ODESZA, Porter Robinson, Zedd and nearly 20 other top acts of the genre. 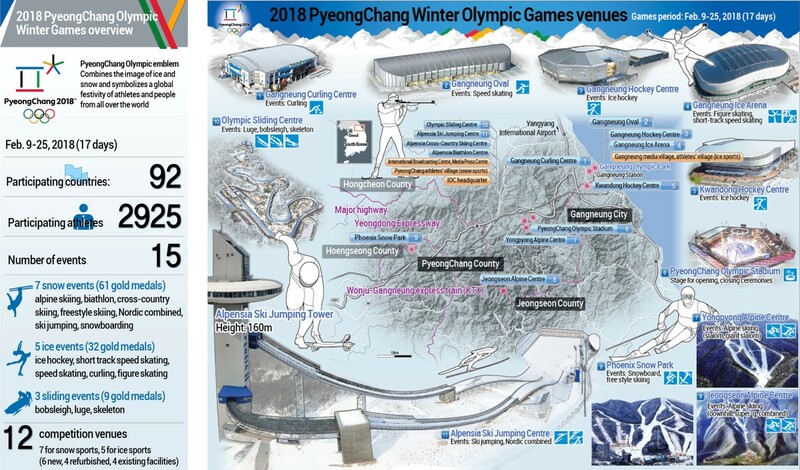 Panasonic has been a TOP sponsor since the Olympic Winter Games Calgary 1988, and the Olympic Winter Games PyeongChang 2018 will mark the 30th anniversary of its sponsorship. Over the last three decades, Panasonic has been contributing to the Olympic Games with its cutting-edge AV technology. Following its achievements in the Olympic Games Rio 2016 last summer, Panasonic will provide solutions using its latest AV equipment and projection mapping technologies as its core technology for the opening ceremony, scheduled for February 9, to assist with the staging of both the opening and closing ceremonies. Back in 1978, when Ilpo Martikainen founded Genelec alongside Topi Partanen, they started a visionary journey that helped to shape the world of professional audio as we know it today and set about their life’s work with the creation of the S30, a milestone in active monitoring originally developed for the Finnish national broadcaster, YLE. The S30, featuring truthful sound and acoustical adjustment capabilities, signalled the company’s unique determination to provide the user with reliable monitoring tools and the ability to calibrate their monitors to suit their own acoustic environment, and these have become the cornerstones of Genelec’s design philosophy ever since. Clear-Com traces its humble beginning to two people meeting fortuitously in San Francisco in the late 1960s, where the music scene flourished and ear-deafening music became the norm. Bob Cohen and Charlie Butten became prominent contributors to a burgeoning counter-cultural movement which reached its peak in The Summer of Love. Each contributed in fascinating ways – Charlie was busy fixing and improving the guitar amps that Lindsey Buckingham would destroy in his pre-Fleetwood Mac days, while Bob was mixing sound at The Avalon Ballroom as half owner of Family Dog Productions, alongside the legendary Chet Helms. Featuring a sensor slightly bigger than full frame, ALEXA LF records native 4K with ARRI’s best overall image quality. Filmmakers can explore a large-format aesthetic while retaining the sensor’s natural colorimetry, pleasing skin tones and proven suitability for HDR and WCG workflows. Versatile recording formats, including efficient ProRes and uncompressed, unencrypted ARRIRAW up to 150 fps, provide total flexibility. “The larger ALEXA LF sensor has the same optimal pixel size as other ALEXAs, resulting in a 4448 x 3096 image,” says Marc Shipman-Mueller, ARRI Product Manager for Camera Systems. “This doesn’t just add definition, it creates a whole new look—one that is truly immersive, with a three-dimensional feel." Sony’s much-anticipated VENICE, its next-generation CineAlta motion picture camera, begins shipping to customers in February. As previously announced, version 1.0 features in VENICE will include support for Full-Frame 24x36mm recording. Now, continuing its approach of incorporating customer feedback into the camera’s development, Sony is announcing several new capabilities including a “Dual Base ISO” mode. With 15+ stops of exposure latitude, VENICE will support an additional High Base ISO of 2500 utilising the sensor’s unique physical attributes. This takes advantage of Sony's unique sensor for superb low light performance with exceptional dynamic range - from 6 stops over to 9 stops under 18% middle gray. With the VariCam LT v.6.0 upgrade, multi camera live productions will benefit from extended control from the RCP, which includes full paint features - from standard ‘shading’ processes to LUT and CDL management – as well as scene file selection, remote REC control and call function. An optional PC will allow the use of live grading software (such as Pomfort, Colorfront, FireFly, Codex) to remotely upload LUTs and manage the camera’s look from a user friendly colour grading interface. Set to be released at the end of February 2018, the Version 6 firmware upgrade sees the camera gain a new shading mode alongside tally and return video management. Full control of the cameras is also possible from Panasonic’s AK-HRP1000 remote control panel. Blackmagic Design announced the new ATEM 4 M/E Broadcast Studio 4K, an advanced high frame rate Ultra HD 2160p60 switcher with 20 inputs, 4 M/Es and a massive 16 next generation ATEM Advanced Chroma Keyers. In addition, the ATEM 4 M/E Broadcast Studio 4K features 2 Ultra HD multi viewers, full 2D DVE, built in SuperSource compositing engines with 4 picture in picture DVEs, full re-synchronization on each input and much more. The ATEM 4 M/E Broadcast Studio 4K is available now for only US$5,995 from Blackmagic Design resellers worldwide. In addition, Blackmagic Design has also announced a free software upgrade that adds all of the same new features to the previous ATEM 2 M/E Broadcast Studio 4K model. Blackmagic Design announced Blackmagic URSA Broadcast, a new high end, professional broadcast camera designed for both studio programming and live production. URSA Broadcast works with existing B4 broadcast HD lenses, can be used for both HD and Ultra HD production, features a 4K sensor, extended video dynamic range, traditional external controls and buttons, built in optical ND filters, dual CFast and dual SD card recorders, and much more. Blackmagic URSA Broadcast is available now for only US$3,495 from Blackmagic Design resellers worldwide. URSA Broadcast is like two cameras in one, an incredible field camera for ENG and programming work, as well as a professional studio camera. The camera features traditional broadcast controls along with exceptional image quality, all in a compact design that is ideal for fast paced, fast turn around production work.